The coastline of the Atlantic Sea cradles the elegance of the historical city of Split. Chosen by the Roman emperor Diocletian as his city of residence, Split accommodates his Palace, an over 1700 years old giant that comprehends an intricate complex of quaint alleys and square. Due to its vastness and impressively excellent conservation, the ancient colossus can be referred to as a city within a city. While the charm of the city's historical sites captivates the multitude of holiday-makers who flock to Split throughout the hot Croatian summer, the unspoiled nature and crystalline waters just make them fall in love. The people of Split claim that their city is "the most beautiful one in the world and beyond," and the well spirited Split aims to convince you of this! The city is full of life and soul, and the friendly local people of Split are waiting to welcome you with open arms. Only a few cities in the world can offer such variety of entertainment and excursions in their closest surroundings as Split. Surrounded by a crystal-clear, deep-blue sea and a breath-taking desert landscape, Sharm el-Sheikh has developed into one of the most popular holiday destinations in Egypt. Come here to relax in one of the many well-developed tourist resorts, or dive at the area’s unique coral reefs. But ’Sharm’ is far more than just a resort town. It is also an ideal spot to discover real Egyptian culture and to travel to the neighbouring historic sites such as the renowned Mount Sinai. The spectacular city of Key West, is part of the Monroe County, FL, United States, and also the southernmost city in the Continental US. 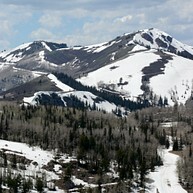 It is located 129 miles and approximately two hours away form the cosmopolitan city of Miami. With its impeccable weather, Key West enjoys the distinction of being a major seaport destination for many passenger cruise ships. 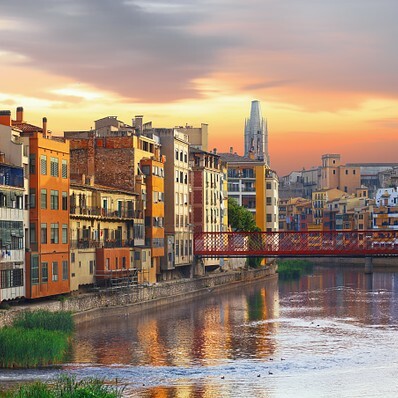 This spectacular city will offer you scenic beaches, an abundance of exciting venues to explore, multi-ethnic restaurants, and luxurious hotels with breathtaking views. 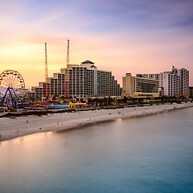 Daytona Beach is "The World's Most Famous Beach" Known for its stretches of smooth sandy beaches that have made driving and racing motorized vehicles a popular past time for over 100 years, Daytona Beach impresses. The booming racing legacy continues to this day, with the National Association for Stock Car Auto Racing (NASCAR) and Grand American Road Racing Association housing their headquarters here. Daytona Beach also beckons with activities for absolutely everyone. Sharm has become one of the top global destinations for snorkelers and divers thanks to its beautiful and diverse sea life, and its sandy beaches have become very popular with holidaymakers. Naama Bay is by far the most popular of them, and its long, sandy beach is a favourite among swimmers and sun bathers. It is buzzing with life thanks to its many restaurants and shops. Come here to try out the Bungee catapult or take up horse riding sessions. If you prefer it more quiet, spend a day at Nabq Bay, which is situated outside of the main tourist area, or spend a day on Sharks’ Bay, about a 20 minute taxi ride from Naama Bay. Ras Um Sid, located west of Naama, is great for snorkelling. Situated about five minutes’ drive from Sharm, it is famous for its stunning coral reefs and boasts an impressive cliff. If you are interested in diving, Sharm El-Maya should be your point of reference. The bay, located near Sharm’s Old Town area, is home to a number of diving centres that will show you the best waters in Sharm. When picking a diving school, however, make sure the school has been accredited by a professional diving association. 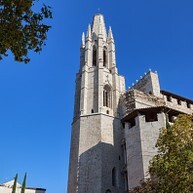 The Girona's most ancient church, serving as the city's cathedral until the 10th century, is a spectacular Gothic building with an imposing bell tower built between the 14th and 16th centuries. The church holds regular services and houses some impressive works of art. Vilnius, the capital of Lithuania, is one of the most frequently visited cities of Eastern Europe. It draws attention, not only because of its unique architectural character, but also because of its cultural events and attractions. During the first ten years of Lithuanian independence, the city became a tourist attraction centre. It is, therefore, not surprising that the number of tourists consistently increased during these ten years and that the tourist infrastructure and services developed at the same time. Pilies Street is the oldest and most vibrant street in the Old Town of Vilnius. It has preserved its old and unique look and you can see traces of old architecture everywhere: small yards, arches, arcades, original steps and basements. 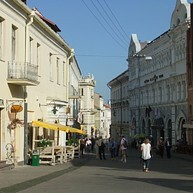 Nowadays it is also a place where you can find numerous cafés, restaurants and souvenir shops. 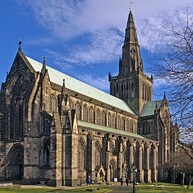 The beautiful Glasgow Cathedral is one of the few Scottish medieval churches to have survived the 1560 Reformation without suffering any significant damage. The cathedral's origins date back to as early as 550 AD, when the tiny - at the time - wood church was central to a forming religious community. The Palace is the city´s pride and houses the alleys and squares that compose the Old Town. Built by the Emperor Diocletian back to the 305 AD, it boasts an impressive figure and a well-preserved building. As you walk through the Bronze Gate, a stunning view of the Palace will be disclosed to the eyes, revealing the magnificent ancient fortress. Parc de la Devesa is a large and lush park just northwest of the city centre, a green oasis in where locals relax in the sun and wander among the beautiful vegetation. There are lovely gardens surrounded by water and a greenhouse displaying various plant species, as well.